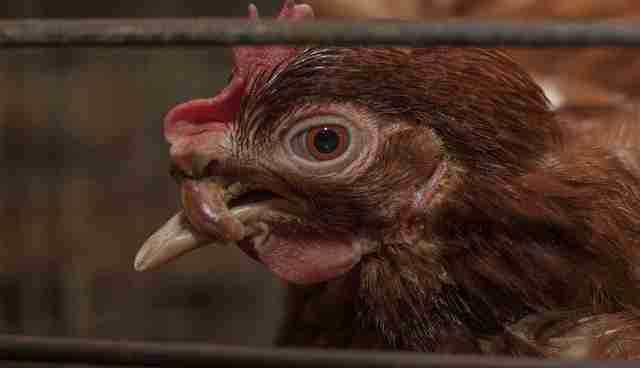 Meet the real face of poultry factory farming. 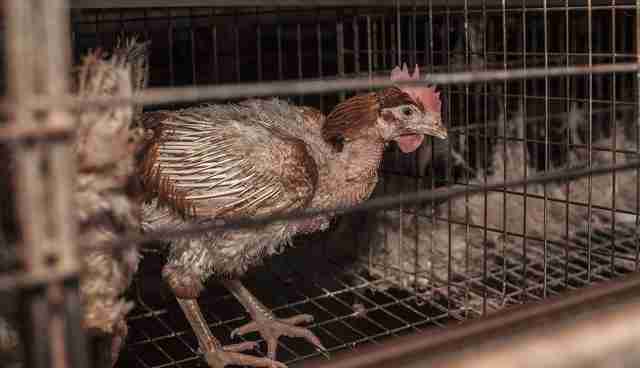 Recent photos released by an Australian welfare group show the heartbreaking fate of many battery hens, who spend their short lives in cages so small they can't stretch their wings. 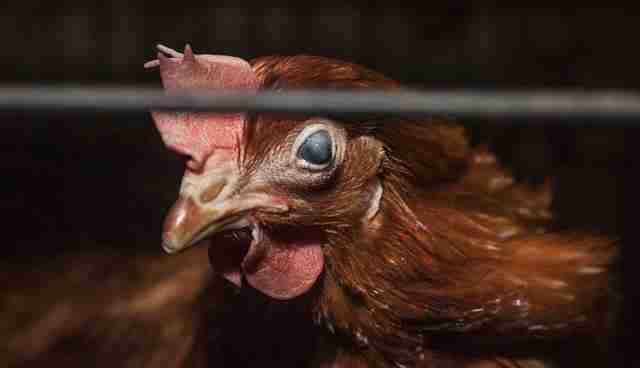 Animal Liberation Victoria (ALV) conducted an undercover investigation of Wagner's Poultry throughout March. The group became suspicious when the government gave the farm the all-clear despite allegations of abuse. What they discovered was shocking, though, unfortunately, not surprising. 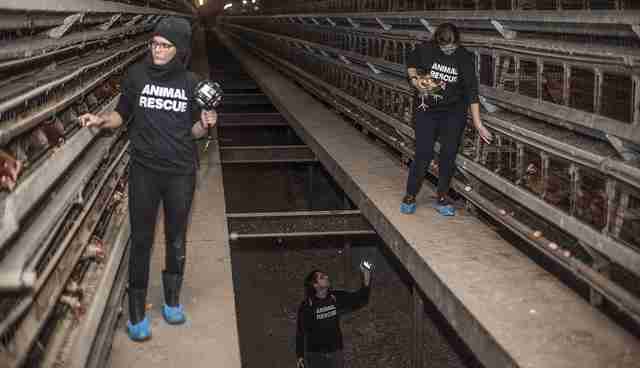 Many of the hens were in need of immediate veterinary care, and packed into a "hellhole" of filthy cages, the group said in a statement to The Dodo. 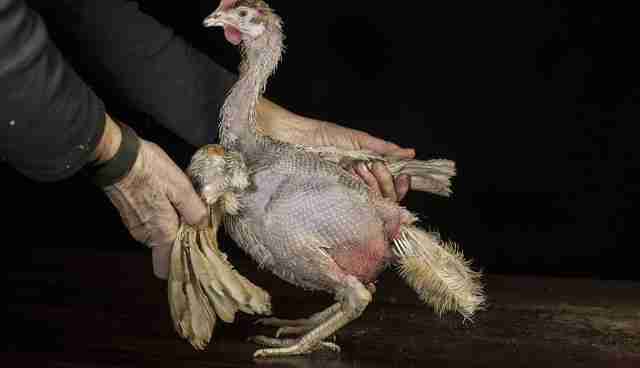 Some were sick or dying, with mangled beaks or other injuries, and many were featherless and bald. 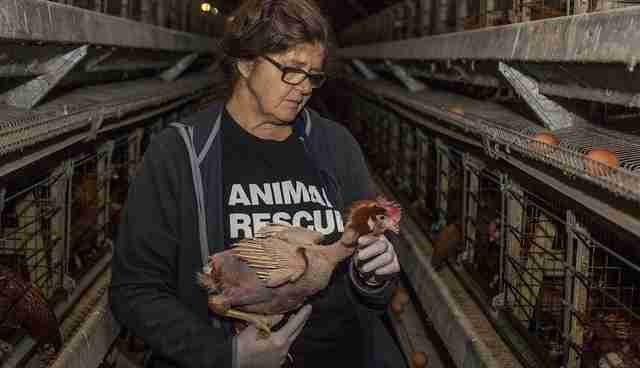 One hen in particular was emaciated but had a swollen stomach, and the team recognized that she had probably been left to suffer for a long time. "She shrieked in pain at the slightest movement," ALV said. "Had our rescue team not been there she would have never received veterinary care, and died an agonizing death." Along with several other birds, she was removed from the facility and rushed to a vet. 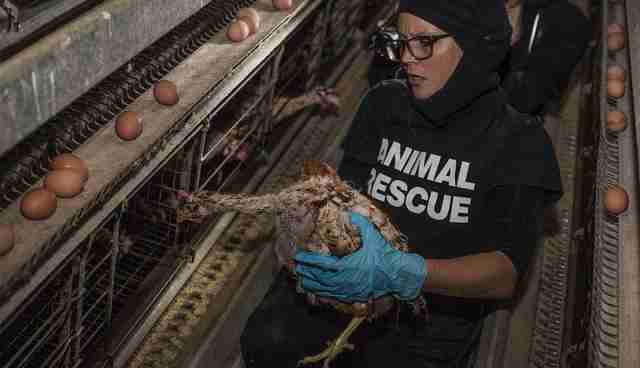 Photos of the facility show that it's just as dangerous for human workers as it is for chickens - and a less-than-ideal setup for food production. 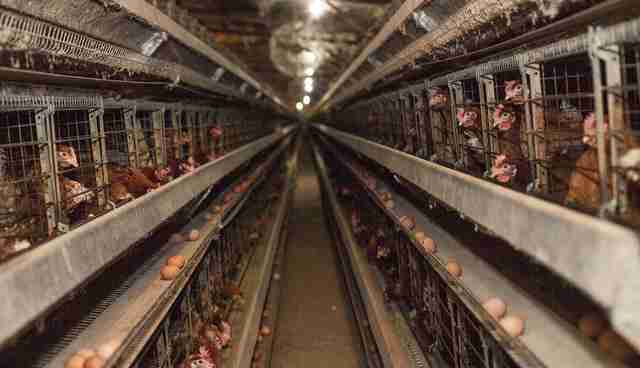 The filthy cages are bordered by thin walkways workers use to access the hens. Below this is a huge drop to an open pit of excrement. 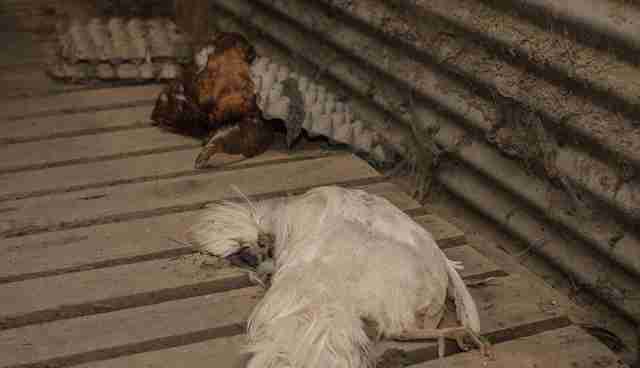 Wagner's Poultry has responded to the investigation, noting in a statement that the farm is regularly inspected by government officials. 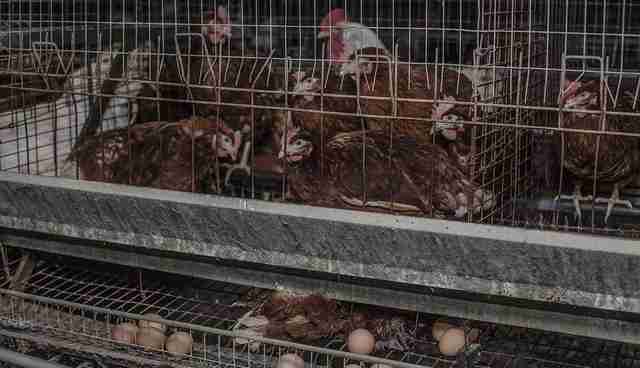 "At no time has the industry regulator raised concerns with the animal husbandry practices on Wagner's property," they said. Unfortunately, these conditions aren't unique to Australia. Last weekend, Mercy for Animals released footage from Maple Lodge Farms, Canada's largest poultry producer, showing chickens frozen to death in transit and being scalded alive in industrial dishwashers. 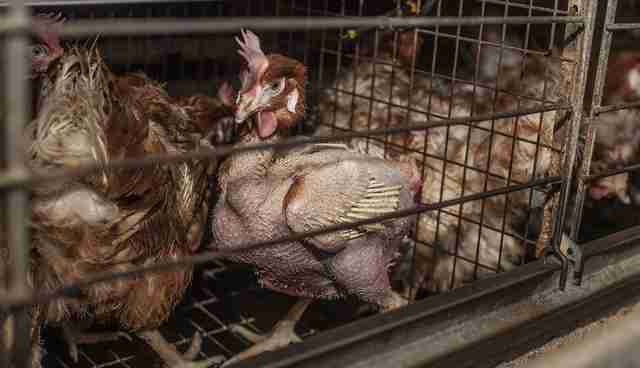 Earlier this month, a Mercy for Animals investigation of Gordon Food Service, the U.S.'s largest private foodservice distributor, showed chickens being slammed into shackles for slaughter and, again, scalded alive. "Every single time we have gone undercover behind closed doors in a factory farm we have seen egregious abuse," Krista Osborne, managing director for Mercy for Animals Canada, told The Dodo earlier this week. "This is not a one-time instance. This is a systemic issue throughout the industry." However big the problem, this investigation has made a world of difference to a few small lives. 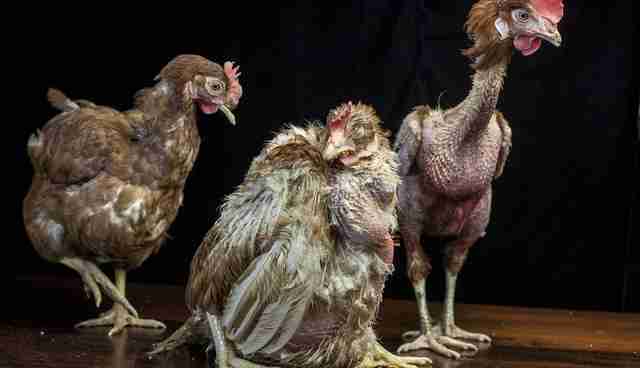 Photos of the rescued chickens show that, despite their unsettling appearance, there's a quiet dignity in their faces that's reassuring. 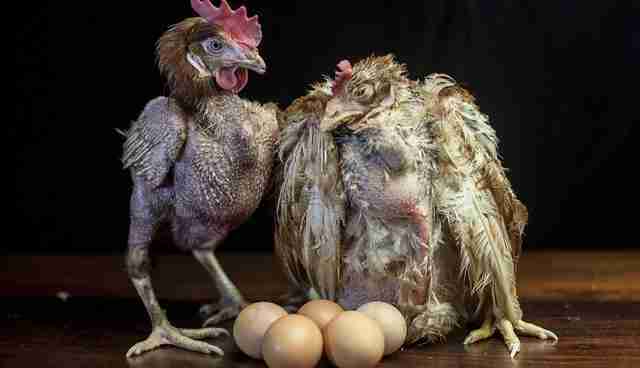 And as for the hen who was crying out in pain? She's received life-saving surgery and is recovering well.